1996, Acrylics, Gesso and Oil Pencil on Board. 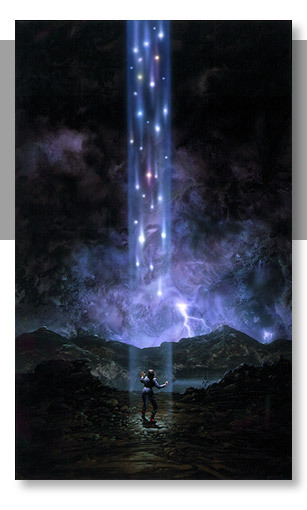 Commissioned by Avon Books New York For James Allan Gardner for the SF Novel Expendable. This Work was selected to hang in the New York Society of illustrators Annual Exhibition. All designs and art are Copyright© and owned by Greg Bridges. Unauthorised reproduction is prohibited.